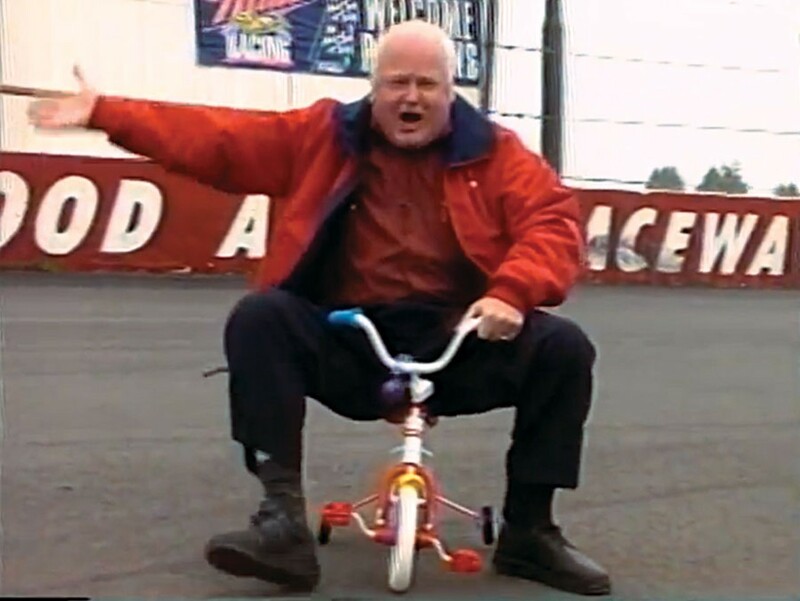 Humboldt's king of TV commercials rides into the sunset. Can he be replaced? 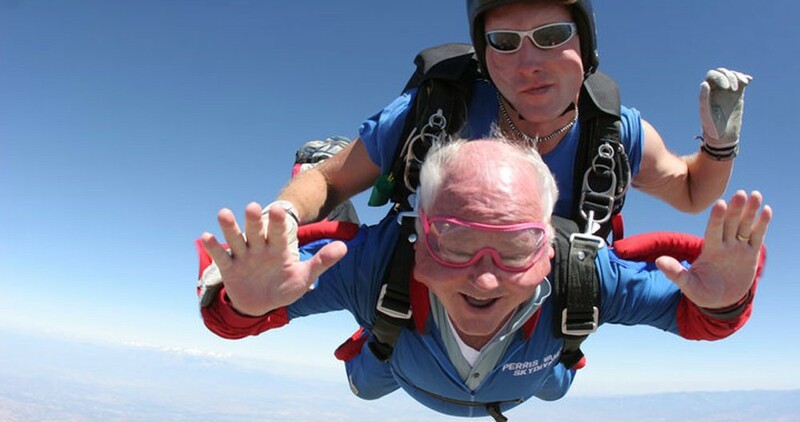 After two decades of pitching cell phones and dominating the local airwaves, Corky Cornwell has retired. Corky Cornwell, the boisterous, extroverted cellular phone hawker you know from decades of television advertisements, is retiring. Go ahead — let out a sigh. That might be a sigh of relief for one less brazen TV commercial, or a sigh of lament for the loss of one of the county's most recognizable faces, a symbol of independence and commerce. Corky wormed his way into the hearts and minds of the North Coast with a calculated torrent of commercials with loud volumes and louder visuals. The rosy faced ex-timber man drove many people up the walls with his advertising regimen — including, at times, the national chain whose services he sold. 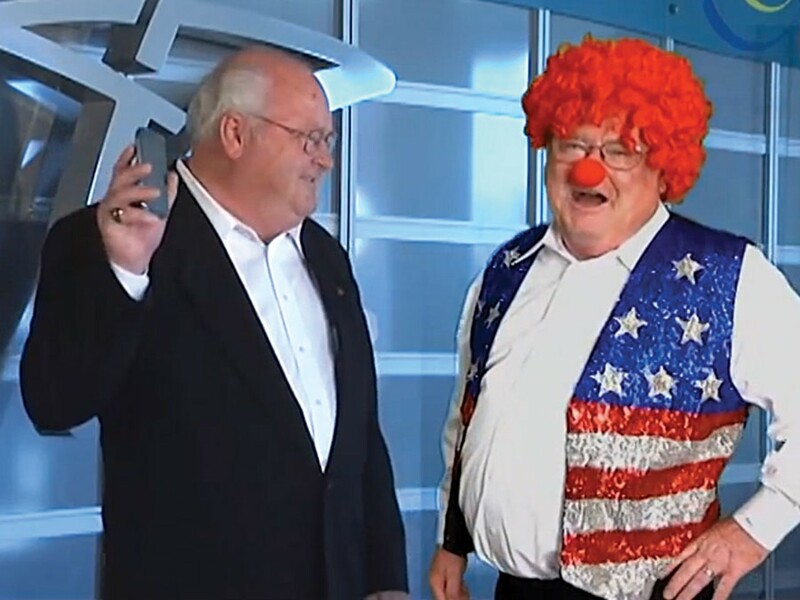 But there was a certain charm to Corky's willingness to be goofy, bizarre and outright obnoxious, not to mention his own acknowledgement that the commercials helped build a thriving business serving more than 12,000 customers. What is it about local TV commercials? They're instantly recognizable — our media-trained eyes are attuned to the subtle visual differences between the images produced by a moneyed national ad company and those of a small local filmmaker. They are high concept, often matched in equal measure by low production values. Gaudy graphics? Usually. Discomfort in front of the camera? That, or an abundance of hamminess. Often they're hastily written, shot in a dimly lit store and edited within hours of air time. And it shows. 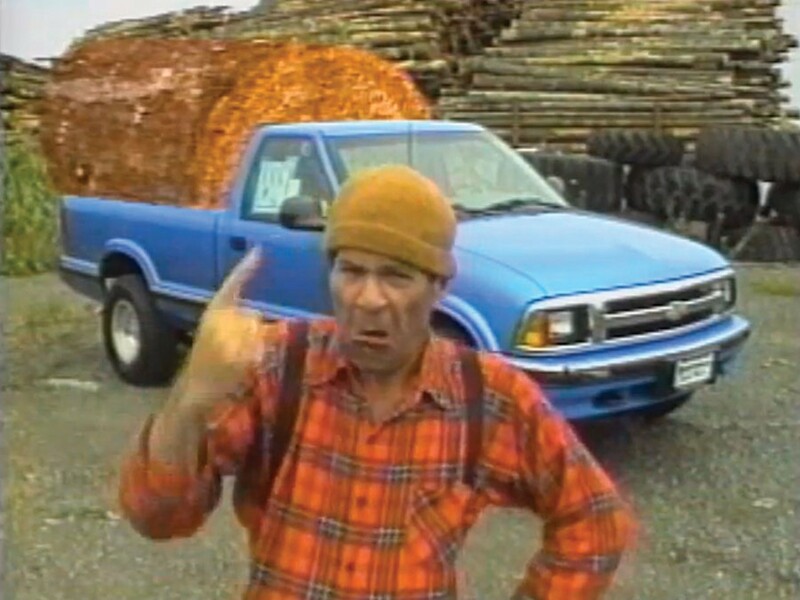 There's something innately American about locally produced commercials. The make-something-of-yourself, I-did-it-my-way, big-fish-in-a-small-pond, damn-it-all glory of TV-era capitalism. 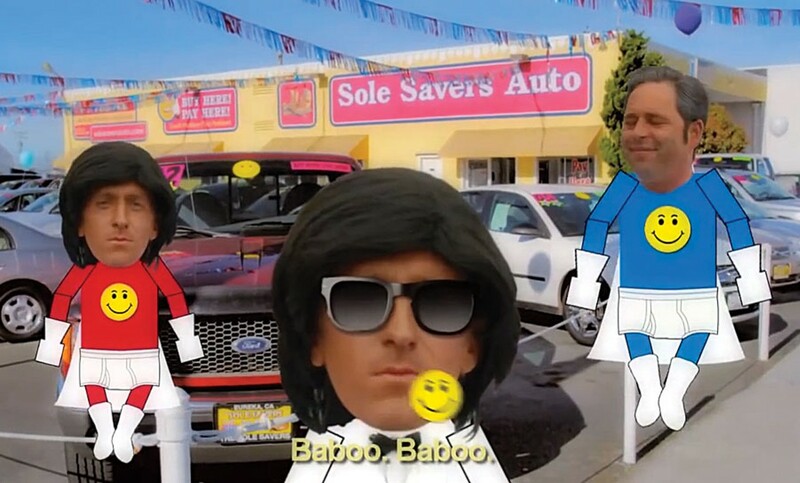 The commercials are glorious, they're changing, and, in some ways, they're improving. While producing TV commercials may not carry the same clout as, say, feature films, it's one way for visual artists to stay in creative shape and make a living. It's an opportunity to practice technical skills both in front of and behind the camera — writing, filming, lighting, editing, acting — while putting out content that people see and recognize. Not only must commercial producers sell themselves to ad-curious businesses, they must sell that business' products or services to the world. That means a certain understanding of the area and the people who populate it. Malcolm DeSoto can often be seen in Old Town Eureka with a crisp haircut and a camera tripod over his shoulder or a camera bag in his hands. He's been producing commercials for six or seven years, mostly here on the North Coast. It's pretty much a one-man job, he says, though he'll enlist physical help when he's actually shooting a commercial. Writing, editing, special effects — that's his wheelhouse. "For the most part it's pretty solitary," he says. Business was scarce when DeSoto first started — he even produced commercials for free for a while in order to build a client base. But now he has steady work, and commercials are his "bread and butter." "I have a base set of clients that I do a lot of work for," he says. "TV stations, other businesses, the film commission. I don't have to do too much soliciting nowadays." In larger markets, videographers get tapped to shoot music videos, indie films and other projects. Those kinds of opportunities are rare up here, meaning many producers turn to commercials or day jobs to make ends meet. DeSoto was hired to edit Eureka resident Maria Matteoli's film The Wine of Summer, but his day-to-day work is largely local commercials. 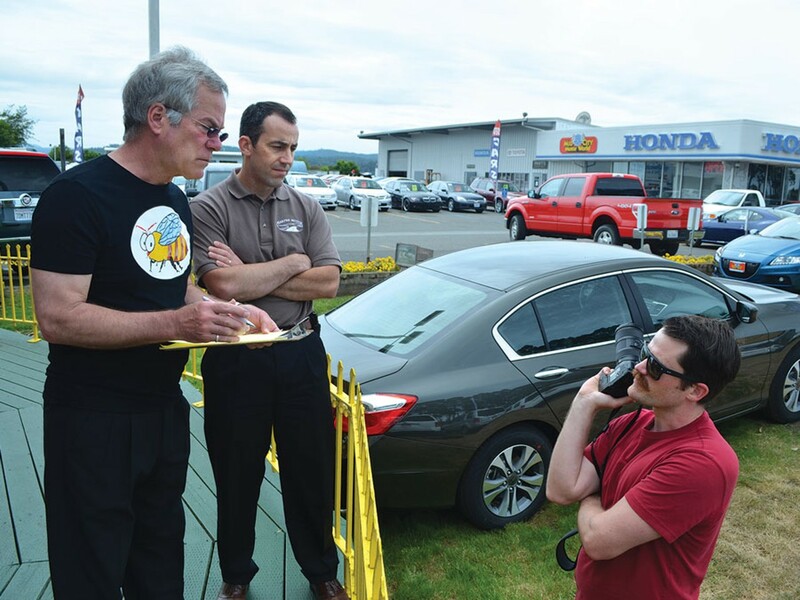 DeSoto's clients range from casinos to the Humboldt County Sheriff's Office, and the tone of his work ranges from "really cheesy" to "serious and somber," he says. Small companies rely heavily on his creativity, he says, while larger companies that have their own marketing departments dictate the content and message of commercials. DeSoto says he typically charges between $1,000 and $2,000 to produce a 30-second TV spot — though he said that can vary greatly. Commercials produced by TV stations typically cost $375 to $500 — depending on the sophistication. DeSoto says he's not interested in being a marketing expert. "Really, what I love is making things," he says. "As far as demographics, airtime buys — that's boring to me. I stick to production." Montel Vanderhorck, a filmmaker, commercial producer and associate professor of digital media at College of the Redwoods, says the modern media landscape is changing the video advertising model, if only slightly. While the headache-inducing repetitiveness of the jingle/slogan/bombast type of commercial will never really go away, some businesses are turning toward more timeless and professional advertising that looks, well, less like advertising. Businesses want ads that won't look dated in a few years, that can be shared online and that tell a story about the product, Vanderhorck says. There's no 30-second time limit for online ads, no costs to post them on Facebook and company websites, where the hope is they will go viral. Look, for example, at the Humboldt Made ads produced by a variety of locals over the last several years. They live online and can easily be shared with prospective clients, distributors and customers at conventions or through social media. Vanderhorck produces commercials occasionally, he says, but other full-time work keeps him occupied. He hears about gigs word-of-mouth, typically, and takes on the projects when he can give attention to detail. "It's more of a way for us to support our filmmaking habit," he says, "to pay for our own projects." Most small businesses, Vanderhorck says, turn to local TV stations, which have their own commercial production teams and package air time with production, pricing out independent producers. "That's how they kind of keep the small guy out," he says. Rowdy Kelley worked for Channel 3 from 1997 to 2001, including a year on the commercial production team. He said they would crank out a commercial — talk with the client, write, shoot and edit the 30-second spot — in six hours. That doesn't leave a lot of time for the creative juices to flow. Kelley left Channel 3 to work on The Majestic when it filmed in Ferndale, and has been working on national commercials and other projects since. Vanderhorck says the quality of shoot-n-cut commercials suffers. Turn to the TV station "if you want something quick and stupid," he says, though he's quick to add, "people who work at the station are underpaid and on a tight deadline. I'm not trying to bash on them." Vanderhorck thinks that higher-quality productions will become more and more popular. "I don't think people want to be the next Corky Cornwell," he says. Actually, says Robin D'Aguanno, News Channel 3's local sales manager, it's just the opposite. She says business owners saw the value in Cornwell's larger-than-life — and therefore unforgettable — persona. "Everyone wanted to be Corky," she says. "It's an enthusiasm that's infectious. Good, bad or ugly." 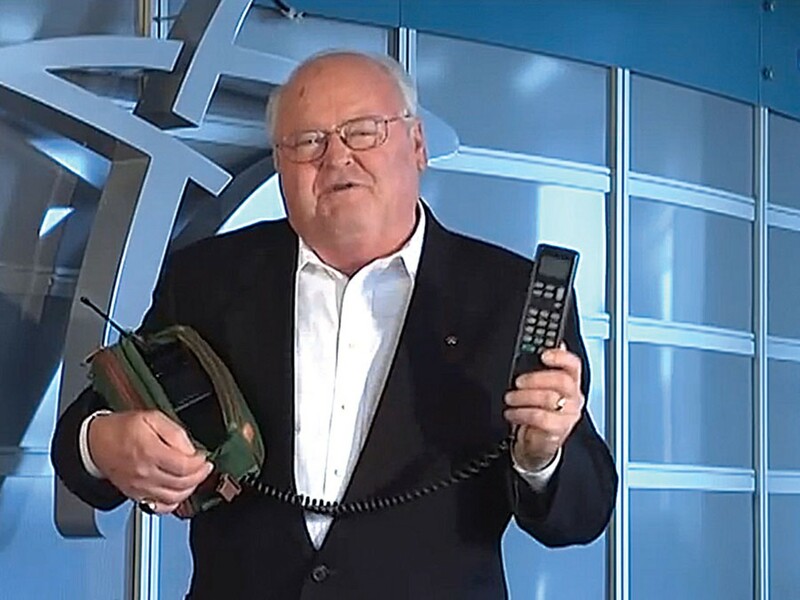 Corky Cornwell got into the cellular business in 1994 because he was bored. After 32 years as chip buyer for Louisiana Pacific, he retired — already a millionaire. "Cell phones was an area that had some interest," he says, adding he never thought every person would carry one. "It just went nuts." During a recent interview, Cornwell was in the midst of packing up the large office in his Fourth Street Redwood Coast Cellular building. Despite his insistence that the office was sparsely decorated, photos, memorabilia and trinkets still covered the walls and surfaces of the room. He's not nearly the blustery figure he cuts on television, but Cornwell is animated, hopping out of his chair to point out framed articles about his business and to explain the "tape measure trick" that convinced him to retire — again. Stretched out to 80 inches, Cornwell says that last 8 inches — he's 72 years old — looks awfully small compared to all the inches that came before. He waxes political ("Uncle Sam's got a pretty good hunk of [my money]"), laments the county's embrace of environmentalism and its effect on the timber industry ("I still don't like the spotted owls"), and boasts charmingly about his grandkids and pets ("We're kitty people"). He's retiring to focus on his family, travel in his new 40-foot RV, and — he hints — because things stopped being so cheery with U.S. Cellular. Cornwell built a small empire over 20 years as a U.S. Cellular agent, at one time commanding six stores and 12,283 customers (a number he rattles off from memory). He's selling the business to another U.S. Cellular agent based out of Ukiah — a personal friend, he says. He won't divulge the selling price, but not because he's shy. "I would if I could — but I can't," he says. He's happy to point out that he'll never have to worry about money. Cornwell began running zany commercials shortly after he started Redwood Coast Cellular, starting out as an Uncle Sam character ("I want YOU to have a cell phone") and later inhabiting whatever historical era or fictional universe appealed to him at the time. His favorite? The mad scientist commercial. You can tell from the photos in his office alone that Cornwell's a nostalgist. He says he's kept all of his costumes and props from 20 years of commercials — and he's close to needing a third storage unit. 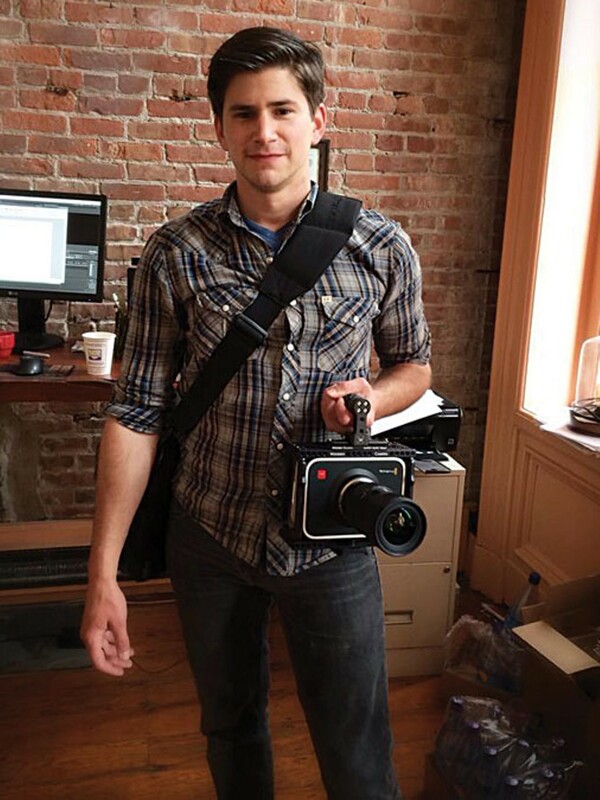 Cornwell hired a video production company early on but quickly realized he could produce the videos himself — saving money. "I wrote all those commercials," he says. "So I take full blame for that." 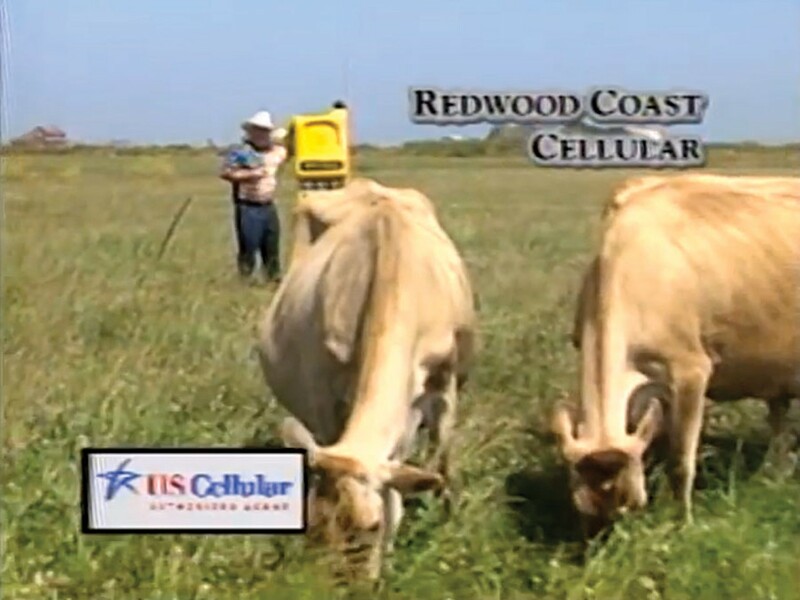 He credits the commercials for much of the success of Redwood Coast Cellular. 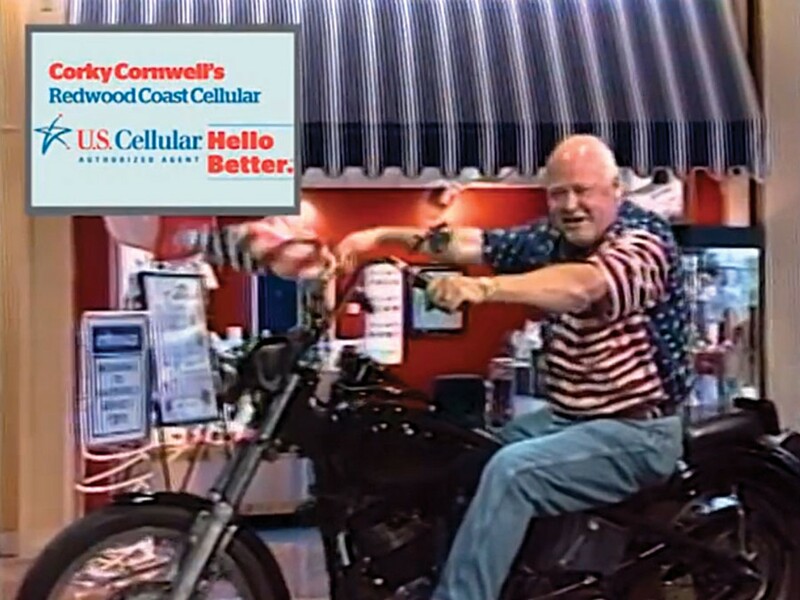 By focusing on marketing himself, rather than the company or its parent company, U.S. Cellular, Cornwell says he became a recognizable icon that drew people into his stores. At one point, Cornwell, beaming in a pink button-up shirt, stands up and points to an empty spot over the doorway to his office. That, he says, is where he hung the framed obituary of Harvey Harper, the late owner of Harper Motors. Harper had, in the 1970s and '80s, been infamous for his own wacky TV commercials. He wrestled alligators in the median between the north and southbound lanes of U.S. Highway 101, and became known for his willingness to be silly in the name of good business. "I've always looked up to Harvey," Cornwell says. "My wish was that I could be the Harvey Harper of cellular phones. And I think I've come close to that." If you watched TV between 1994 and 2014, Cornwell was inescapable. But along the way, Cornwell's relationship with U.S. Cellular seemed to sour. He is hesitant to talk about it, but it's clear that the commercials were a sticking point. "U.S. Cellular is a real controller of the way you handle your company," Cornwell said. And the company didn't like his ads. Or, at least, it wanted him to tone them down. Cornwell hired DeSoto when he was first starting his production company. "He was just kind of doing it for the fun of it," DeSoto says. "He didn't care if they were silly or whatever." But U.S. Cellular did, and Cornwell asked DeSoto to add some polish to the Corky brand. "He hired me to basically try to make more professional looking ads to fit within the guidelines of their corporate branding," DeSoto says. U.S. Cellular franchises have an advertising co-op, DeSoto said, meaning they all pitch in to have certain branding designed and produced, and it's expected to appear in local commercials. That didn't last long in Cornwell's case, DeSoto says. "I think he gave up and said 'I'll keep doing these weird ads until they fire me.'" Cornwell says he figured out a deal — his company would provide cell phone service to News Channel 3 in exchange for commercial productions and air time. That way he wasn't spending pooled money on the advertising that was so near and dear to his business. "There's ways around everything," he says. "You just have to be smart enough to know them." That only lasted so long. "I feel that we could have done quite well if we'd been left alone a little bit more," Cornwell says, appearing sad for the first time that morning. "I regret that I didn't retire a year and a half ago. There's just so much time that I owe to my family. When U.S. Cellular started to take control three years ago it stopped being as much fun as it should be." Still, he insists, he's leaving the business with "hope and visions of a wonderful retirement." That leaves room on the airwaves for the next Corky Cornwell, the third coming of Harvey Harper. Who will it be, Humboldt?